You can find this book and other texts by Patricia Polacco in the red book box labeled “Favorite Authors.” If you’d like to help expand our school’s collection of Polacco books, you might want to consider helping support this Donors Choose project. Summarize text, include a sequence of main events. This would be an excellent book to use to practice the GLAD strategy of a narrative input chart. Each double page spread of the book can be copied, printed in color, then used to sequence events in the story. For more information on GLAD strategies, check out this PDF. The art is clear and striking enough that it should work even if these color copies are relatively small. Recognize literary elements (genre). Would you classify this book as a folktale? What makes books fall into that category? Compare and contrast within and between text. 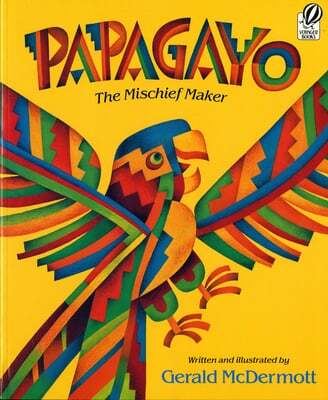 What an amazing author study Patricia Polacco makes. Here’s one unit plan for making that happen. How is this book similar to and different from other Polacco books, particularly Luba and the Wren or Thunder Cake? Select and read “Good Fit” books. If students like this Polacco story, they might also enjoy one of the dozens of other books she’s written. This might be a good choice for a student who avoids chapter book series, but is ready for more challenging text. I love that the Seattle Public Library is open until 8 PM on Mondays and Tuesdays. Look at all the great loot I picked up this afternoon! I had a hard time getting into my apartment. I’d like to point out that I attempted to make this labeled image more legible and incorporate lines pointing to all the crazy books, but it seems that MAKING A STRAIGHT LINE IN GIMP IS IMPOSSIBLE FOR ME. Anyway, I finished most of the classwork I needed to, so I’m off to brush up on my William Steig knowledge so we can continue our author study tomorrow! Most people love Henkes’ seminal character Lily, of Lily’s Purple Plastic Purse fame. I think she’s obnoxious, and I’m glad this book gives us a chance to learn more about Chester. Dr. Cooper does not find your personal remarks amusing. Anyways. This is a great beginning-of-the-year-let’s-be-friends kind of book, and Kevin Henkes is brilliant as always. Recognize literary elements (character). This book provides a great opportunity to discuss author’s craft, especially if you’re reading this book as part of an author study. Henkes uses very precise, particular, and sophisticated vocabulary when he talks about Chester. Contrast this with the language he uses in Birds or Kitten’s First Full Moon. Read appropriate level texts that are a “good fit.” Many primary students would not be able to successfully make it through this book independently, due in large part to fantastic words like “diagonally,” “miniature,” “swung,” and “reminded.” However, if a teacher reads the book aloud to the group first, the book will now be accessible to more students because they are familiar with it. Tune in to interesting words and use new vocabulary in my speaking and writing. I know a several primary teachers who have a Kevin Henkes author study at some point in the year, and the thing that’s so striking to me is what a sophisticated vocabulary Henkes uses in this book. This is a great book for introducing your class’ word collector. Our second author study this year was David Wiesner. I usually do author studies for one week because I have so many other ideas racing around that I want to move on after a week, but this outline can be shortened or extended as needed. Comments are always appreciated so I know whether this post was useful! This year we’ve been reading many books that are elligible for the 2011 Caldecott, so I was dying to share Art and Max with our class. I didn’t even think to make this an author’s study until my students expressed shock that Wiesner had written other books that were very different from Art and Max. Part of the reason why our class understood the humor in Art and Max was that we just so happened to use all three media that are referenced in the book — tempera paint, chalk pastels, and watercolors. The book Great Estimations is excellent for helping students see why it can be more practical to use estimations or skip counting to find a total. Prior to reading this book, about 3/4 of my students would refuse to round when solving an estimation problem, OR they would solve the entire problem, then just round their answer at the very end. On Tuesday, we read Tuesday. It honestly wasn’t planned that way. I’m nerdy, yes, but I’m not that cheesy. Most of our class’ favorite lessons are completely serendipitous. Tuesday is often used as a text for working on prediction, but about half of my class read the book last year, so I introduced the strategy of Making a Picture in Your Head instead. We discussed how the pictures Wiesner paints are so vivid, we don’t even need words because we can make a mind movie of the entire story in our heads. I copied three pictures of Art from Art and Max, then made enough copies for the whole class. Students estimated how many dots were in each picture. They explained their estimation strategies, and many talked about how they figured out what ten dots looked like, then applied that to the whole picture. Others counted how many dots were in one square inch (using inch pattern tiles), then counted the number of tiles they needed to cover the picture. Before we went down to the computer lab, I pulled up these interviews with Wiesner. Flotsam was one of the longest picture books we’d read so far this year, plus there was so much to look at, so we split this book over two days. I needed to build some background for my students on this book, as none of them had ANY idea what film was (way to make me feel ancient at age 27, guys) and most hadn’t seen a microscope before. I also gave us two days to ruminate on the book because my students were a little more confused by the fantasy aspects of the book. When we first started the book, we had a lengthy conversation about whether it was fact or fiction — the pictures looked very realistic, and we knew from David Wiesner’s Web site that he was inspired by a trip to the beach. But as the book progresses, it becomes increasingly absurd. We talked about how we had to change our predictions and ideas about the text as we received new information. When we go to the library, I usually do a brief read-aloud before students check out their books. This week, I read The Three Pigs and asked Mrs. Cole to pull all our David Wiesner books to form a mini-display. I chose The Three Pigs because the story was enjoyable enough without needing outside explanations from me, so we were able to use this as a straight read aloud. In our literacy block, I read June 29, 1999. Because this was Friday, I explained to students that this would be our chance to really put the strategy of Make a Picture in Your Head to work. Unlike many other Wiesner books, there is text in June 29, 1999, but the pictures aren’t quite as straight-forward as they are in his other books. We’d have to fill in the blanks. Had I read June 29, 1999 at the beginning of the week, I’m fairly certain my students would have been perplexed, at best. But they got into it right away — “Look, he’s doing the three panel thing again to show time passing!” “This looks like the neighborhood in Tuesday, except it’s happening at day instead of night!” “This is kind of like a weird Magic School Bus book, because she’s growing plants, but it’s not realistic!” “It’s like Cloudy with a Chance of Meatballs but with all healthy food!” I could have hugged them all. I suppose I could have/should have had some grand end-of-the-week assessment to ascertain whether this was a valuable series of lessons, but based on how much kids were writing about David Wiesner’s books in their reading response journals, I decided it was a success. Our first Bookroom Book of the week is David Wiesner’s The Three Pigs. You can find it in the red Fables and Fairy Tales bin in the bookroom. This book won the 2002 Caldecott award, and you can find out more about it from David Wiesner’s Web site here. You can even read his 2002 acceptance speech here. The bag includes a lesson connected with Washington state EALRs 2.1.3: Connects previous experience and knowledge when reading. and 2.2.1 Finds similarities and differences in texts. Pages in the texts are marked with labels for suggested comprehension questions. As with most of our bookroom books, you can find a CAFE menu highlighted in the bag. I saw several routes that lessons could take — please highlight others with your ideas! If you’d like a copy of the CAFE menu aligned to Washington state standards, one should be laminated and attached to the side of the bookshelf immediately inside the bookroom door. You can see how I used The Three Pigs as part of my David Wiesner author study here (to be posted Monday, 11/22/10). When we read fairy tales or fables in class, my students inevitably ask, “But who wrote it FIRST?” They are often completely perplexed to discover there isn’t THE FIRST Aesop’s Fables or THE FIRST Cinderella that they can put their hands on. That’s why I think this site is so fantastic. It shows several “original versions” of The Three Little Pigs from across the globe. You can also take the Fractured Fairy Tales route. Sometimes bookstores understand my brain so well that it’s scary. Here are Barnes and Noble’s suggestions. Hope this was helpful! 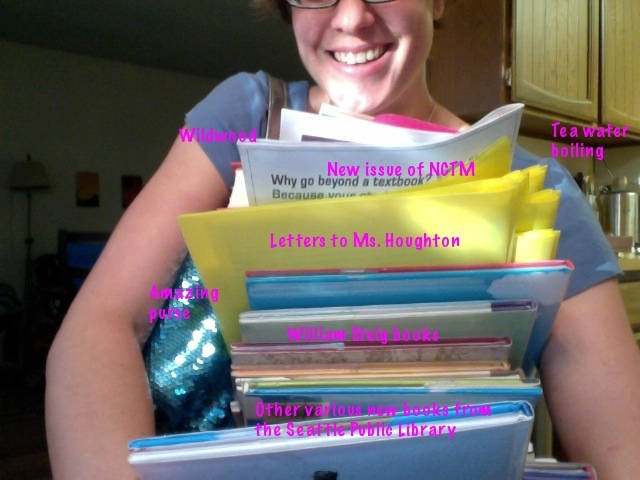 Let me know if any of these resources were useful in your class. Many thanks are due to The Miss Rumphius Effect for the post about this year’s AAAS Science Books & Films award finalists. 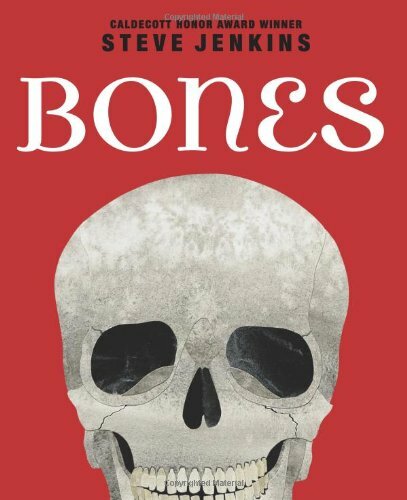 We’re reading Steve Jenkins books this week, and it was exciting to learn that Jenkins’ newest book, Bones, is a finalist! You can peek at a preview of the book here. Author shannonPosted on October 12, 2010 Categories Author Studies, Literacy, Read AloudsTags author study, awards1 Comment on Steve Jenkins!